The Crofting Commission have announced the election of Colin Kennedy as their new Convener. The secret ballot, overseen by the Crofting Commission’s Chief Executive, came following the delegation of the selection of the new Convener to Commissioners by Scotland’s Crofting Minister Dr Aileen McLeod. Ian George Macdonald was voted in as Vice Convener, a position previously held by Colin Kennedy. These elections follow on from a period of conflict within the Commission which resulted in the resignation of former Convener, Susan Walker, who was appointed to that position by the Scottish Government. Back in April it was reported by The Herald that at least 5 commissioners had requisitioned a special meeting of the Crofting Commission in order to move a motion of no confidence in Susan Walker. The report claimed that there had been growing concern amongst her fellow commissioners over her style of leadership with it being alleged that she had assumed the role of an executive chair, rather than that of primus inter pares – first among equals. It was also suggested that she had been closer to officials in Edinburgh and Inverness, than to her commissioner colleagues. 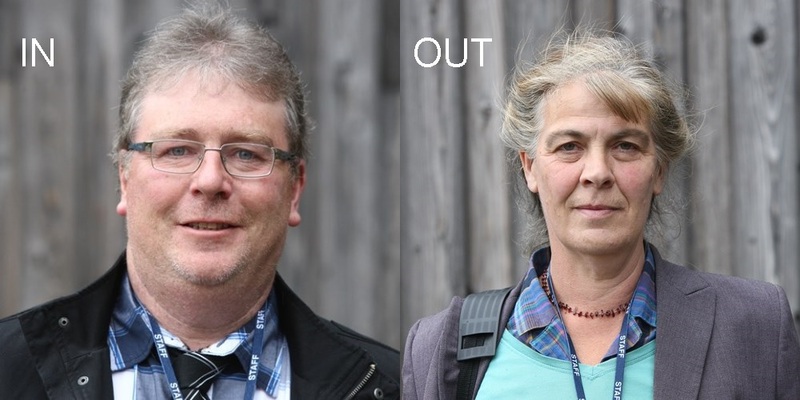 What some have called a “witch-hunt” resulted in Susan Walker resigning both as Convener of the Crofting Commission and as a commissioner. Colin Kennedy will now take up the post of Convener until 31 March 2017, covering the remaining tenure for the current Board. It will be good to see the Crofting Commission actually “delivering the express will of Parliament contained in crofting legislation”. In recent years they have been putting their own interpretation on crofting legislation which many have argued was not how Parliament intended it. Indeed the Scottish Land Court recently ruled the Commission’s interpretation in one particular case to be wrong and clarified for the Commission what Parliament actually intended. It is to be hoped that the Crofting Commission under Mr Kennedy’s stewardship will actually follow the express will of Parliament and no longer seek to interpret the Crofting Acts in weird and wonderful ways. Mr Kennedy is, of course, no stranger to crofting legislation having been involved in a number of high profile personal battles in the Scottish Land Court over the years regarding crofting issues on the Isle of Coll. Mr Kennedy originally stood for election to the board of the Crofting Commission after becoming disillusioned with its management. He said, at the time, that the eight crofters on the Isle of Coll had been treated ‘appallingly’ by the Commission, accusing the organisation of applying the legislation differently in one part of the country to another. If elected, he said he would strive to ensure Scotland’s Crofting Acts would be applied evenly across the board. The Scottish Crofting Federation (SCF) has cautiously welcomed the election of the new Crofting Commission Convener, warning of a long way to go to restore confidence in the Commission. “Following a long period of silence since the early departure of Susan Walker from the leadership of the Crofting Commission, we are pleased to see that something is being done to get the commission back on to a road to recovery. Electing a replacement convener will at least allow the commissioners to get on with their job. “Crofters welcomed the fact that the new Commission had a majority of elected commissioners when it took over the regulation of crofting in 2012. So, it is even more disappointing that the fracas that led to Ms Walker’s resignation was allowed to happen. “The fact that there have been no reasons given for the alleged vote of no confidence or that there has been no visible attempt to deal with the commissioner who breached the Code of Conduct by going to the press, leaves a bad smell. There are, understandably, questions still about how the commission operates. It is for the new convener to rectify this. “However, we were gratified that the minister for crofting, Dr Aileen McLeod, allowed commissioners to elect their own convener this time, and we hope that this practice continues. So it’s in, out and shake it all about at the Crofting Commission. But will they turn it around? This entry was posted in Crofting Commission and tagged Chief Executive, Colin Kennedy, Convener, Crofting Commission, Crofting Commissioner, Crofting Commissioners, Dr Aileen McLeod MSP, Hokey Pokey, Ian George Macdonald, in, Isle of Coll, no confidence, out, Russell Smith, Scottish Crofting Federation, Scottish Land Court, Scottish Parliament, shake it all about, Susan Walker, Vice Convener, witch-hunt on June 25, 2015 by Brian Inkster.